I am coming to you lovelies today with the long-awaited review of the Goddess Body TeaTox Cleanse. 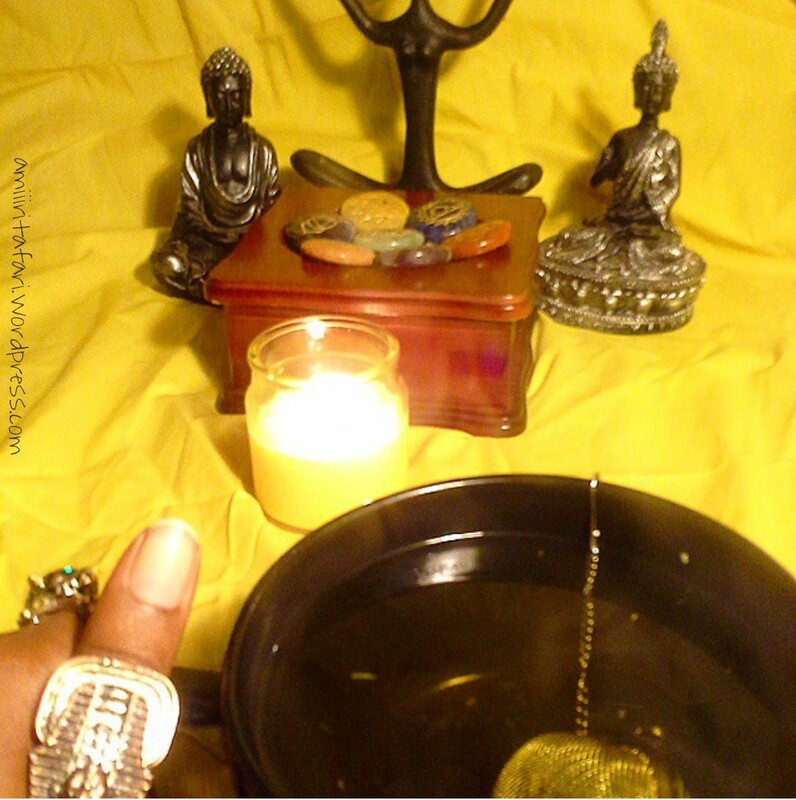 Last month Triiin and I did the Goddess Body Cleanse, which was created by Angela Elizabeth. This teatox contained three teas: The Mind & Spirit Herbal Blend, The Healthy Yoni Herbal Blend, & The Cleansing Herbal Blend. It also contained Belly Buster Botanicals that can be added to any beverage. The cleanse called for us to ingest these three teas daily, while also eating a mostly raw/vegan diet. 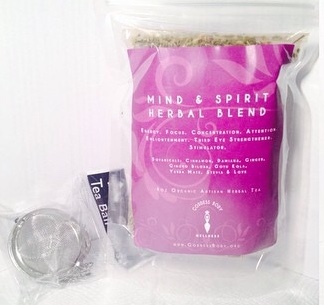 The Mind & Spirit Herbal Blend is consumed in the morning. The Healthy Yoni Herbal Blend, midday. 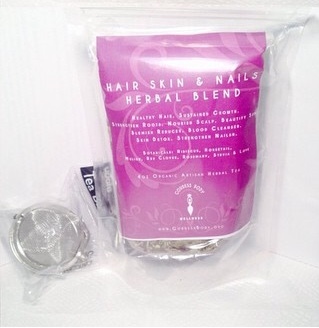 And the Cleansing Herbal Blend at night. I will be honest. This cleanse was no easy feat for me at first. I like a lot of variety in my diet and I started off the cleanse quite bored by the raw foods I had access to. This was due largely in part that we had not had time to grocery shop just yet. 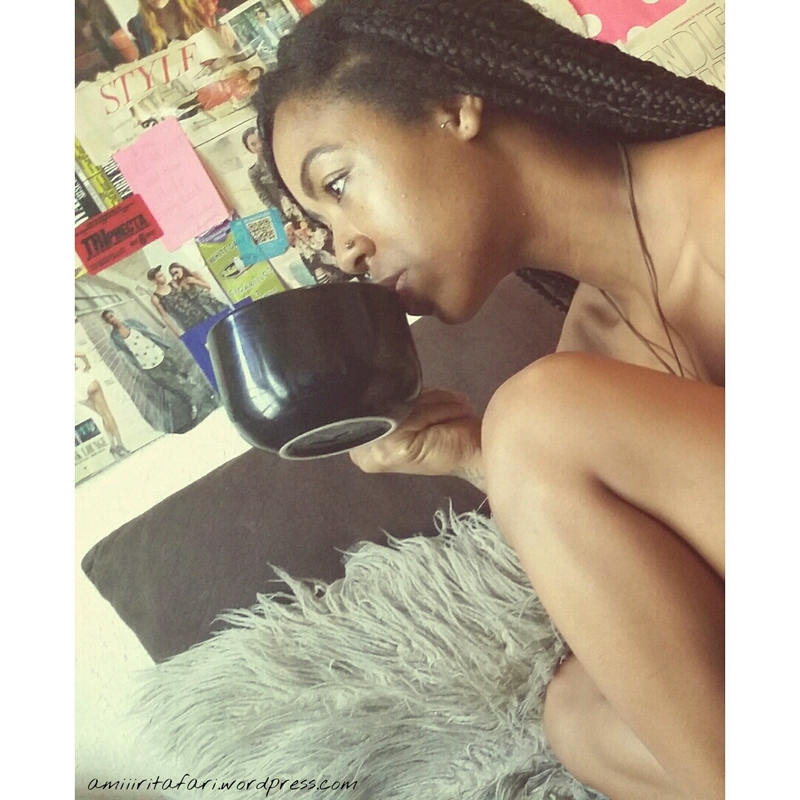 Being busy, makes it harder than you think to drink 3 teas a day, even as an avid tea drinker such as myself. We managed though. Also, I think the first week is when the most major detoxing has to take place, as your body accepts the effects of these herbs and acclimates to a new diet. However, a body rejecting toxins is not its most comfortable. Once we got past the week one woes, it got a lot easier to keep pushing. We stocked up on fruits and veggies, nuts and granola, and started putting our creative fusion on our meals again. We marinated mushrooms for the first time, which was quite nice. We got better with pre-brewing the teas, so they would be ready and available on those busier days when stopping to brew simply would not be possible. We also got better with creative ways to consistently ingest the teas and our raw foods, in general. One of the best combinative efforts of this was the TeaTox smoothies we began concocting. We could fill them with delicious fresh fruits and tasty teas to effectively fulfill both of our requirements. Now certain effects I cannot personally attest to (such as those related to menopause, fibroids, endometriosis, etc.) because these are not ailments I am, myself, afflicted by. However, I definitely experienced the other effects this cleanse boasts. 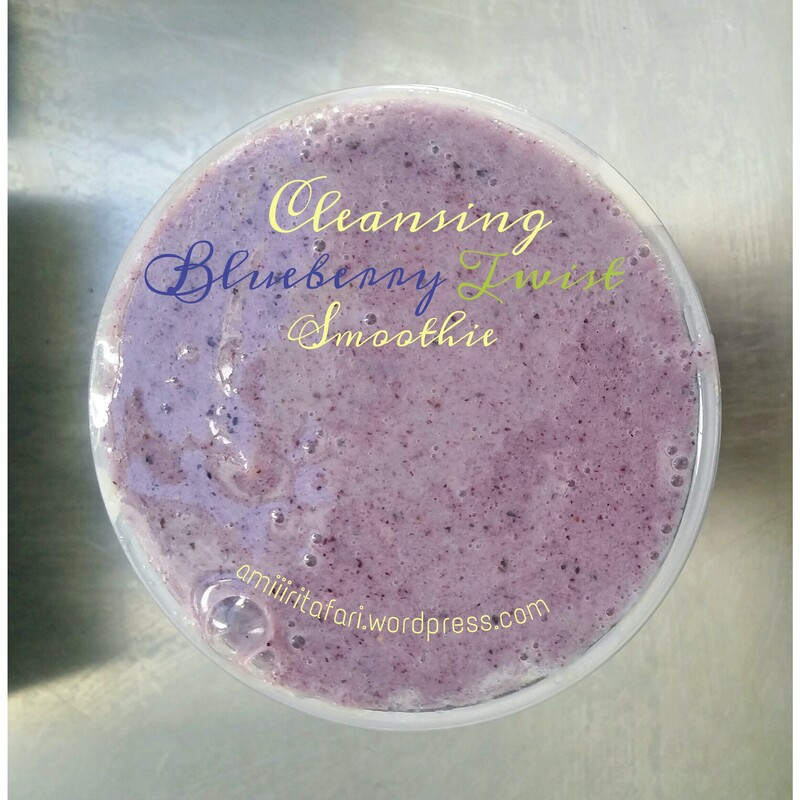 During the cleanse, I had a completely painless menstrual cycle. Completely painless. This is partially due to Goddess Body’s Yoni Oil which I have been using consistently for a year now (review coming soon on that liquid gold), but used in tandem with this cleanse, my feminine power could overcome any malady. I also found myself needing to sleep less as a whole. I had energy all day, energy all night, and I could easily subsist on 4 hours of sleep like it had been 8. I’m not an avid consumer of junk but I also found myself craving even less junk then before. Whenever I wanted something sweet, the craving was easily satiated by fruit. I work at a children’s establishment and during the time of the cleanse, with the season change, something was going around. However, with the cleanse and proper diet on my side, I was able to prevent falling victim to the circling illness. One complaint with this mostly raw diet is that it is a LOT of snacking. Healthy snacking, but still. Loving to cook as I do, I like preparing, then sitting down to eat a home cooked meal. When we had opportunities to throw in the vegan dishes in our arsenal, we were more than pleased. Doing the Goddess Body Cleanse reminded me of one very important thing: Listen to your body in the many ways it speaks. It will tell you what it needs. Be discerning of the effects of what you ingest and don’t chalk up not-so-good observations up to coincidence. Its actually not all that confusing to me. I’m simply planning to 1) Limit my seafood intake as much as possible. (attempting not to exceed 3 times/meals a week.) 2) Limit my dairy intake as much as possible (NEVER drink milk, some allowances will be made but cook with milk product as little as possible) 3) Limit egg consumption (Egg used the creation of something is fine (noodles, baked goods, etc. ), but ingest eggs in their form no more than twice a week) . Drink lots of water. Eat lots of veggies. Incorporate more and more vegan things. Now even with these stipulations, I have eaten even less of these things than I have allowed room for. I haven’t had eggs in weeks and I have even started shying away from cheese (one of my favorite guilty pleasures) more & more. I will stay in avid communication to my body and listen to what it needs to function at its highest degree. Lets see where this flexitarian diet takes me next! If you are interested in trying the Goddess Body Cleanse or any of this Goddess’s other lovely holistic products, check out GoddessBody.org ASAP. Follow GoddessBody on instagram for more info on various products, deals, discounts, and more!